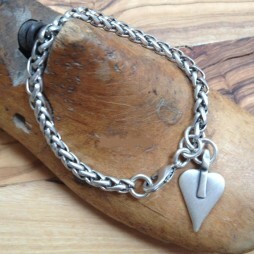 Gift Ideas, Gifts £20 - £40, Bangles, Bracelets, Silver Bangles, Silver Bracelets, Joma Jewellery, The BIG SALE. A sensational statement bracelet from Danon Jewellery. 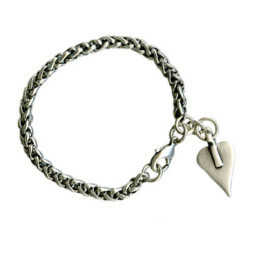 Chunky in style this Danon rope chain bracelet features Danon's silver plated signature heart charm at one end. You will love this stretchy Hultquist Gold Plated & Swarovski Crystal Small Bead Bracelet.